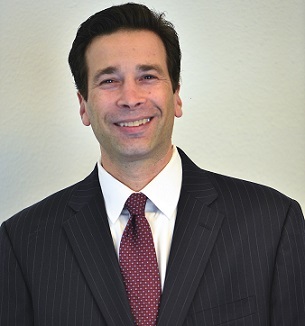 Mr. Alon is an accomplished trial and appellate lawyer. He focuses his practice on white collar criminal defense and complex civil litigation on behalf of both plaintiffs and defendants. Mr. Alon was a Federal Prosecutor in Los Angeles from 2008 to 2015. In that role, Mr. Alon investigated and prosecuted a variety of criminal offenses including bank fraud, wire fraud, conspiracy, tax evasion, false claims, money laundering, National Security violations, securities violations, identity theft, defense procurement fraud, theft, Racketeer Influenced and Corrupt Organizations Act (RICO) violations, drugs, gangs, and murder. At the U.S. Attorney's Office, he held several leadership positions, including the office's Financial Institution Fraud Coordinator and Northern County Initiative Coordinator. In these positions, he coordinated criminal investigations and prosecutions with the Federal Bureau of Investigation (FBI), the Internal Revenue Service (IRS), and many other federal and state law enforcement agencies. For seven years, Mr. Alon successfully prosecuted cases in the Los Angeles U.S. Attorney's Office's Major Frauds, National Security, and General Crimes Sections. As the Financial Institution Fraud Coordinator, Mr. Alon participated in federal and state mortgage fraud working groups with all levels of law enforcement. In this Coordinator role, Mr. Alon also trained federal agents regarding successfully investigating fraud cases. As part of the Northern County Initiative, Mr. Alon coordinated cases out of Santa Barbara, Ventura, and San Luis Obispo. Mr. Alon began his career as an associate at Beck, De Corso, Daly, Kreindler & Harris from 2000 to 2007 where he focused on complex civil litigation and white collar defense cases. He was trained there by some of the best white collar defense attorneys, who were all former prosecutors. His work there resulted in him being recognized as a Rising Star by Super Lawyers in 2008. As a criminal defense attorney, Mr. Alon has successfully represented numerous individuals and entities in connection with a wide range of federal and state investigations and prosecutions. In civil litigation, Mr. Alon has successfully represented both plaintiffs and defendants in both state and federal court. Mr. Alon successfully defended numerous individuals and companies in complaints brought by the Federal Trade Commission (FTC), as well as litigation involving the False Claims Act, fraud, false advertising, kickbacks, breach of contract, RICO, employment, malicious prosecution, copyright infringement, and trademark violations. Mr. Alon trained paralegals about "Project Management Skills--Best Practices to Maximize Opportunities and Contain Costs" at a "Litigation Skills: Managing Civil Discovery" seminar in Pasadena, California in 2007. Mr. Alon has successfully argued before the Ninth Circuit and California Court of Appeals. His advocacy resulted in several published decisions, including regarding criminal constitutional rights, enforcing an arbitration provision in an employment contract, and affirming sanctions awards for frivolous filings in a partnership dispute litigation. Mr. Alon has received numerous awards and honors for his legal achievements from the FBI, United States Secret Service, U.S. Department of Housing and Urban Development (HUD), Bureau of Alcohol, Tobacco, Firearms and Explosives (ATF), United States Department of Agriculture (USDA), Ventura County Sheriff's Office, and Los Angeles U.S. Attorney's Office.